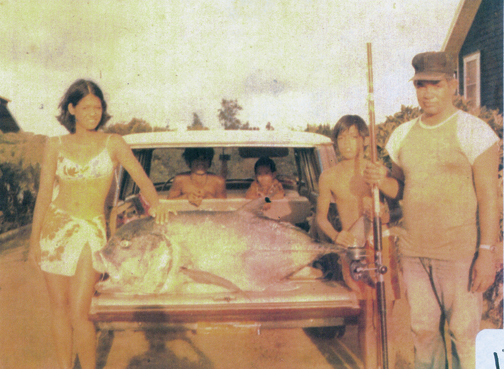 Samson Cazimero's epic ulua capture occurred on the North Kohala Coast of the Big Island in the summer of 1970. He battled the 100-lb behemoth using a spinning rod, Mitchell Garcia 488 reel and 50-lb test line. Samson weighed his catch at A. Arakaki Store.